My family and I just recently returned from a wonderful week in Florida, where we visited Disney World. It was so nice to leave the cold and dreary winter of Maryland to spend a few days basking in the warm Florida sun while enjoying each other’s company. The first time we went to Disney World, we considered it to be a once-in-a-lifetime trip, so we really spared no expense. We flew to Florida, stayed at a Disney Resort, made a gazillion Character Meal reservations, bought the Photo Pass, as well as every Disney souvenir that our hearts desired. But when we got home, we realized that our trip cost way more than we had budgeted for. On our first visit to Disney, I thought we HAD to stay on a Disney Resort. I figured that since we were flying, it would be more budget-friendly to stay at a place where we could take a free bus to each of the parks. And while our resort was beautiful and the staff was super friendly, it was a little pricey. This time around however, we were lucky enough to be able to buy a friend’s week at a timeshare resort in Kissimmee for only $200. Yes, that’s $200 for 7 nights, or roughly $29 per night. Because the resort did not offer transportation to the parks, we decided to drive our car to Florida (saving on the airfare). The resort was only a 10 minute drive from the parks, and it provided us with a small kitchenette where I could prepare quick and easy meals for our family. If you aren’t fortunate enough to know a friend who is selling a timeshare, you can find great deals on sites like Ebay for hotel/condo stays in the Orlando area. I found one tonight for a 5-night stay for only $189! Have you seen the prices of food at Disney World? If you are a coupon user like me, paying $50 for a family of 4 to eat a hot dog with fries just kills you. The Disney Dining Plan does help cut costs, but it is still expensive and you can only take advantage of it if you stay at a Disney Resort. This time around, I planned ahead for some of our meals at Disney World. To save on breakfasts, I made a large batch of muffins at home and brought them with us in a cooler, along with a few different types of fruit, cereal and milk. We also stopped at the Walmart near our timeshare to pick up more milk when we ran out. We did eat lunches in the parks, but for dinner, we went to local restaurants where the cost of our dinner was 1/3 to 1/2 of what it would have cost at Disney. If you have your heart set on Character Meals for your kids, do yourself a favor and save the expense! The character meals were outrageously expensive (in my humble opinion). Many of the characters we met at these meals were out in the parks to meet for free! One thing Disney is really good at is making you want to buy their stuff. It seems like at the end of every ride, you are let out into the middle of a store, which just happens to be stocked with all kinds of stuffed animals, t-shirts, and accessories related to the ride. We found on our first trip that saying no to our kids was hard when they wanted to take home that special stuffed animal that can only be found in that one shop. I have noticed that you can usually get Disney t-shirts and even the high-quality princess dresses for dress-up at the local Disney store on clearance before you go to Disney World. I always buy off the clearance rack at the Disney Store and have paid only around $15 for my daughter’s dresses and about $3 for their shirts. They even have stuffed toys and dolls on clearance from time to time. You can also find inexpensive Disney souvenirs at Walmart in Kissimmee, and there are several Disney outlets scattered around the Orlando/Kissimmee area. On this trip, we decided not to buy any souvenirs. It was just after Christmas and the kids already had too many toys to play with, plus we didn’t need to spend the money. We did allow the kids to spend their own money on one item, and we told them to wait until the end of the week to really make sure that they wanted what they were buying. Oh boy, did I ever fall for the Photo Pass sales line during our first trip to Florida. I paid $100 for a photo CD with all the photos from our trip on it, and guess where it is right now…in a closet. For those of you who are unfamiliar with Photo Pass, it is a service offered at Disney World in which professional photographers take your photos in various places around the parks (in front of Cinderella Castle or while visiting characters, for example). Then at the end of your visit, you can order a CD containing all your photos. This time I resolved to take all my own pictures, and I’m so glad I did. I only have a point-and-shoot camera, but all our pictures turned out great, especially the ones in the character meeting areas. Since they are already set up with professional lights, my photos look the same as the ones taken by the professional, and I can print them for free or very inexpensively when sites like Shutterfly run special deals. 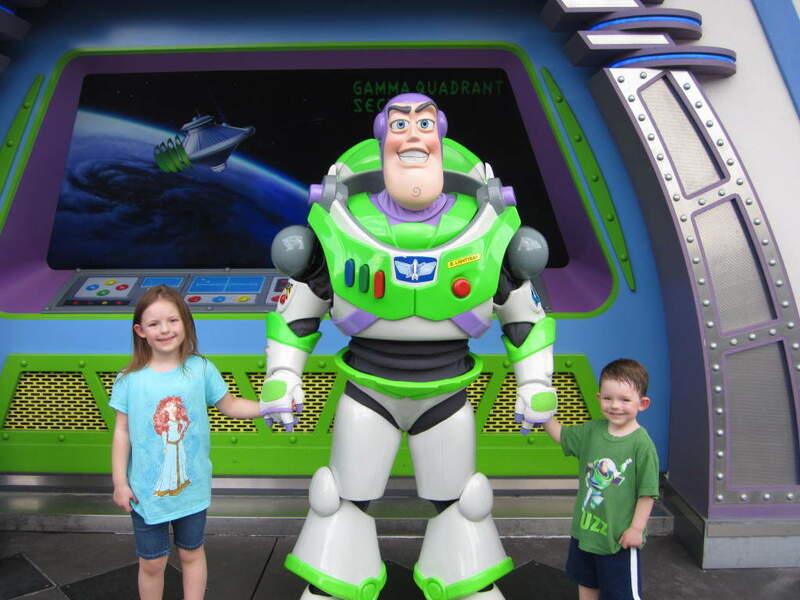 Have you been to Disney World and can share a money-saving tip with us? Please leave a comment and let us know what it is! In working around schedules, you can find some incredible deals on the resorts during off-peak times. Some of these deals include the dining plan. If you are thinking of a visit, I would subscribe to as many resorts as you can. You will get notification of any sales or promotions to cut your out-of-pocket costs. Happy savings! I agree, going during the off seasons makes a huge difference. Also, if you have the chance to go while class is in session, it can save you a lot. When you have school kids, maybe consider going during spring break because that´s not always held at the same week from school to school. In addition to being cheaper, it will also be less crowded. kudos to you for keeping costs down in the happiest place in the world! Great post and I should know, we are annual passholders and live about 45 mins from the fabulous land called Disney. Your tips are right on point. I’d mention that the local Target also has many items that can be souvenirs, much more economical than even the discount places. Also, since my family loves to drive over and spend the night at a hotel, we find that money can be saved by using the hotel’s shuttle to get between parks. Less driving = less gas. Let me know when you are down next, it would be great to meet other blogger families. These are great tips! We are actually flying to DisneyWorld in a couple of hours. We are staying on sight, but we did not sign up the the Disney Dining. I find it to be too much food. We are bringing our own breakfast and saving that way. We do have one character dining experience but I thinking the revolving restaurant is going to excite the kids more than Chip & dale. Well, maybe. 😉 Another way to save money is Magic Your Way tickets vs Park Hopper. Wow! It was $260 savings for our family of 4. I cannot wait to see the New Fantasyland. Yes, I agree! With 2 small kids, it would have been very hard to go to more than one park in a day, so there was no reason to pay the extra $250 for that. Thanks for sharing the tips. We plan to make that trip this summer and we need to find ways to cut corners. All your suggestions are so helpful and definitely helps for when I am planning out trip. What a wise woman! And it doesn’t sound as if you had any less of a good time the second time around! We haven’t been to Disney yet. Those are really good tips on how to keep the costs down. Great job mommy!! Great tips..glad that you managed to save some money. Really good tips for someone that hasn’t visited Disney yet…I plan to one day, but haven’t gotten around to it. Good advice about the photos…Disney had a good idea but $100…wow. Good ideas for the food and clothing souvenirs. Looks like a fun time! I recently learned that you can purchase buffet vouchers on eBay for Atlantic City…that will be such a money saver for me because the buffets are sooooo expensive if you’re not gambling and don’t have any comps. The buffets are such a killer to the budget that I wind up only going to one and if choose unwisely, you are sorely disappointed that you paid so much. Hi Yona…thanks for stopping by! I’m glad that you mentioned the buffet vouchers, as I had never heard of them before. It’s amazing what you can get for sale on Ebay, isn’t it? I have been to Disney World many of times in my lifetime and have surely picked up some awesome tips to pinch a penny while there. My mom actually owns a time-share in Florida so we always stay there when we go down. We’ve also come to notice that if you have to rent a car, waiting until closer to your trip can sometimes cut down the costs of a car rental. Oh! And though we usually eat lunch at whatever park it is we go to, we sometimes also bring our own lunch and we always bring a bunch of water and beverages with us so that we don’t have to spend $5 on a drink. As for souvenirs, like you said, many of them can be bought at the Disney store, but it is nice to splurge every now and then. I really hope to be going back to Disney this summer, my fingers are crossed and I’ll certainly be keeping you in mind if we decide to go! Hi Felicia! Thanks so much for mentioning the drinks…I totally forgot to mention that in my post! This time around, we brought a water bottle for each person to drink from when they became thirsty. I don’t know how much money we wasted on drinks the first time we went to DW. It can get hot out in the Florida sun and you drink a lot more water than usual. I hope you get to go to Disney this summer! I always thought you had to stay in the park to save money on stuff like transportation too. Thanks for the heads up on that one. My friend did the trip like you did the first time around and she spent a fortune. One thing she did learn, though, is that the Walmart stores right outside the park have a lot of the same shirts for less than half the price. I would love to take my son to Disney World one day, but it will definitely be on a tight budget! I’ll keep all your tips in mind! Hi Nikki! Thanks so much for stopping by 🙂 I hope you and your son enjoy your visit whenever you are able to go! Great information! I agree with Tracy that traveling in the off-season is a huge savings and using timeshares or condos help save lots, too. Being able to prepare the majority of your own meals when you have a family of 4-5 can save 100s off the top. Thanks for mentioning purchasing souvenirs at Wal-Mart or the shops around town – pretty much the same items for a fraction of the cost. I love that you had your children purchase their own souvenir the second time around. That really does make them think twice about what they absolutely have to have. 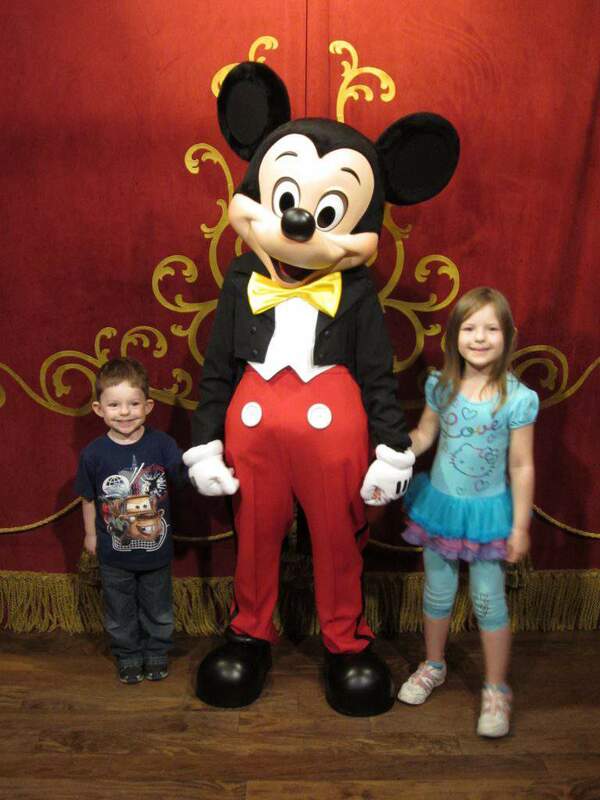 I cannot wait until my kids are old enough to go to Disney! And with six we will definitely need to do it on a budget! I love the idea of staying someplace where we can cook at “home”, and not be so worried about disturbing the room next door at the hotel. Great tips! These are some amazing tips. Thanks for sharing I am looking at taking my son in a couple of years and this will surely make the trip more affordable. We’ve actually never been to Disney. I would love to go though and your tips are really helpful. I especially like the tip about not buying a photo pass. Fantastic tips but as much as Photo Pass is, I had it the last time and was happy even thought its a ton of money. Since I am single mom, I was never in the photos. This way I never had to find people to take photos and the photographer had to take all the photos. What a great post. I LOVE Disney World. I took my boys 5 years ago and plan to return as soon as my little girl gets a little older. Thanks for the great tips. I spent nearly a year planning my last trip. There are so many great things to do while there. Hope you had a blast. – Photopass photographers will use your camera! You can hand them your camera, and be in the shot with your family! It’s a great way to get the perfect angles/locations the photopass photographers have and still be in the pictures. – If you do have your heart set on staying on property, watch out for free dining time! It includes the dining plan in your package and we saved over $2500 for four just by going during free dining. – All counter service restaurants on property will give you free cups of icewater, just ask! We brought Mio and Crystal Light/Powdered gatorade packets and drank for free all week! Hey Alicia! Thanks for stopping by 🙂 Thanks for letting us know about these great money-saving tips! I had totally forgotten that I saw people handing their own cameras to the Photo Pass photographers when we were at Disney a few weeks ago…I can’t believe I didn’t remember that! I wish I had known about the free water. We carried our own water bottles into the parks each day, and they sure were a pain to lug around all day.